Photo cutline: Representing the six recipient organizations of The Great Idea Challenge are Mark Barth, Goodwill Industries of Central Oklahoma; Kim Schlittler, Best Friends of Pets; Ranya Forgotson, Homeless Alliance/The Curbside Chronicle; Deborah McAuliffe Senner, Allied Arts; Steve Petty, INTEGRIS and David Castillo, Greater OKC Hispanic Chamber of Commerce. After reviewing nearly 100 proposals submitted in the $1 million Great Idea Challenge, the Oklahoma City Community Foundation has selected to fund six projects in areas ranging from the arts, small business and community health to animal welfare and employment for the homeless. The Community Foundation launched The Great Idea Challenge last spring in recognition of the organization’s 50th anniversary in 2019. 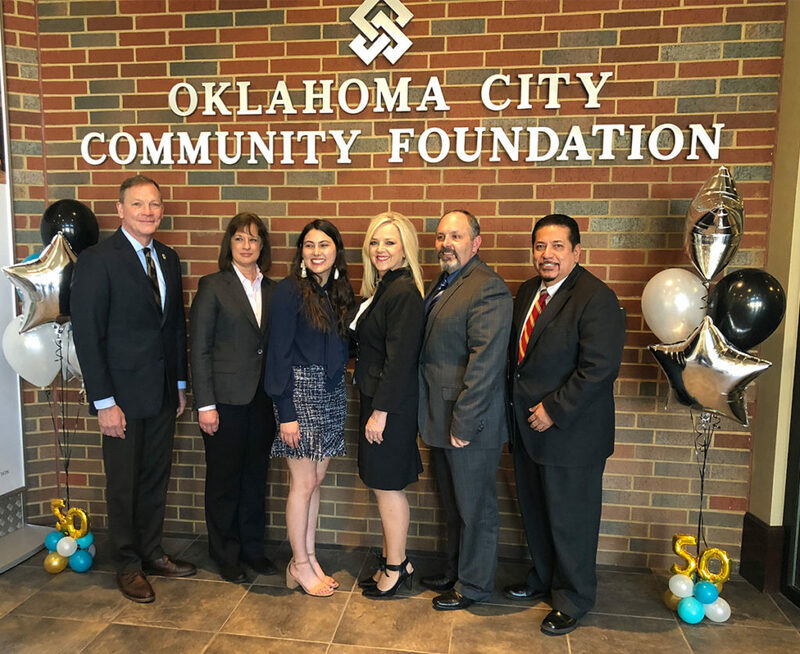 Nonprofits, community organizations and even individuals and businesses collaborating with nonprofits were invited to propose programs that would connect resources, plant seeds, leverage assets and launch new ventures for central Oklahoma. In recognition of Community Foundation Founder John E. Kirkpatrick, the organization will award the six winning programs with a share of the million dollars in funding, as well as awards for three runner-up projects. In the spirit of Kirkpatrick’s ingenuity and vision for Oklahoma City, the Great Idea Challenge is intended to launch new, bold initiatives that will carry Oklahoma City and Central Oklahoma into the next 50 years.